You may recall that, since December 2015, there is a federal bill proposing to prohibit and prevent genetic discrimination. In fact, Bill S-201 has been introduced into the Senate December 8, 2015, referred to the Senate Committee on Human Rights, amended following the committee report, and passed with amendments by the Senate April 14, 2016. Subsequently, it received first reading in the House of Commons May 3, 2016 and is presently awaiting second reading. The Genetic Non-Discrimination Act (Bill S-201) would define “genetic test” as a test that analyzes DNA, RNA or chromosomes for purposes such as the prediction of disease or vertical transmission risks, or monitoring, diagnosis or prognosis. Essentially, Bill S-201 would prohibit any person from requiring an individual to undergo a genetic test as a condition of: providing goods or services to that individual; entering into or continuing a contract or agreement with that individual; or offering or continuing specific terms or conditions in a contract or agreement with that individual. In fact, it would be prohibited to refuse to engage in these activities just because the individual has refused to undergo a genetic test. Additionally, Bill S-201 would also prohibit any person who is engaged in these above activities to collect, use or disclose the results of a genetic test of the individual without the individual’s written consent. Those who contravene these rules would be subject to severe penalties, in that they would be guilty of an offence and liable (a) on conviction on indictment, to a fine not exceeding $1,000,000 or to imprisonment for a term not exceeding five years, or to both; or (b) on summary conviction, to a fine not exceeding $300,000 or to imprisonment for a term not exceeding twelve months, or to both. However, there are exceptions—physicians, pharmacists or any other healthcare practitioner providing health services, or persons conducting medical, pharmaceutical or scientific research would not be subject to this prohibition. 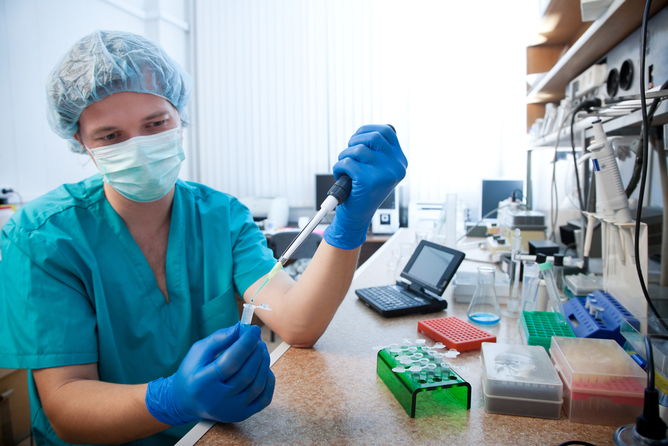 Bill S-201 would also make some changes to the Canada Labour Code, which affects federally regulated employment, stipulating that every employee would be entitled not to undergo or be required to undergo a genetic test. Correspondingly, they would also be entitled not to disclose or be required to disclose the results of a genetic test. In fact, Bill S-201 makes it clear that employers are not allowed to dismiss, suspend, lay off or demote an employee, impose a financial or other penalty on an employee, or refuse to pay an employee remuneration in respect of any period that the employee would, but for the exercise of the employee’s rights under these provisions, have worked, or take any disciplinary action against or threaten to take any such action against an employee: because the employee refused a request by the employer to undergo a genetic test; because the employee refused to disclose the results of a genetic test; or on the basis of the results of a genetic test undergone by the employee. Moreover, no one is allowed to disclose to an employer that an employee has undergone a genetic test or disclose to an employer the results of a genetic test, without the written consent of the employee. There is also a provision prohibiting employers from collecting or using the results of a genetic test without the written consent of the employee. In cases where employees believe that their employers have taken action against them contrary to these rules, they may make a complaint in writing to an inspector. There are several provisions dealing with the complaints process. Finally, Bill S-201 would add some provisions to the Canadian Human Rights Act. In fact, the ground of “genetic characteristics” would be added as one of the prohibited ground of discrimination and harassment. This means that employers would not be allowed to discriminate or harass employees based on this prohibited ground. Furthermore, there would be a provision specifically stating that, where the ground of discrimination is refusal of a request to undergo a genetic test or to disclose, or authorize the disclosure of, the results of a genetic test, the discrimination is deemed to be on the ground of genetic characteristics. What were the amendments made after the committee hearing? Though the Privacy Commissioner of Canada supported Bill S-201, some minor amendments were proposed, which were adopted. For example, the Privacy Commissioner believed that it was unnecessary and potentially harmful to add “information derived from genetic testing” to the definition of personal information in both the Privacy Act and Personal Information Protection and Electronic Documents Act, since personal information is broadly defined as information about an identifiable individual, and information derived from all types of genetic testing is already covered by existing definitions. The Privacy Commissioner also proposed that the written consent provision contains the words collect, use, and disclose in order to be consistent with privacy laws, so that the prohibition reads, “to collect, use or disclose the results of a genetic test of the individual without the individual’s written consent”. As mentioned above, Bill S-201 is currently awaiting second reading, and we will keep you posted on any developments in this area.